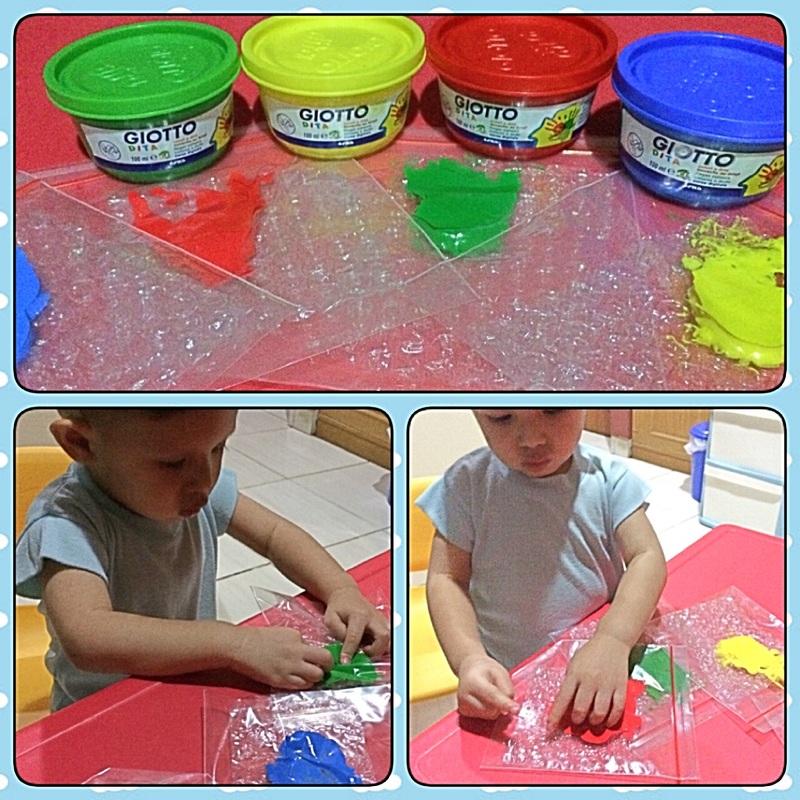 Another sensory play to enjoy with your kids using bubble wrap and painting! It’s easy to prepare and I’m sure it’s gonna be fun- mess thing to do! Cut a small square of bubble wrap, slip it into a zipper bag, and squirt in some paint. Ask your kids to pop the beads and see the paint splatter. This activity is great for color recognition, fine motor and finger dexterity exercise.